Thanks to a review on the DoableEvangelism blog I've come across a fascinating book - Why Good Things Happen to Good People - not (I'm relieved to say) an espousal of the "Health, Wealth and Happiness" gospel of "God blesses people with nice things if they're good" (a heresy we're trying to nail in our series of sermons over the Summer! ), but some research done (not by a specifically religious group) into the effects of altruistic lifestyles. In 2000, Post launched the Institute for Research on Unlimited Love (IRUL) through Case Western Reserve University’s School of Medicine. It’s a mouthful that may sound a little fluffy at first, but their methods are pragmatic and scientific with a focus unique enough to be quite riveting. The purpose: study love and its impact on physical and mental health and overall well-being. Giving reduces mortality. Out of 2,000 individuals, those who actively volunteered had a 44% lower likelihood of dying. Giving reduces adolescent depression and suicide risk. Fostering personal gratitude has profound health benefits. For example, the more gratitude a recipient of an organ feels, the faster that person’s recovery. Generous giving is linked directly to deeper spirituality, especially among teens. Forgiveness alleviates depression and lowers stress hormones. Loyalty is a buffer against stress. The security of loyal, steadfast caring is one of the greatest inhibitors of anxiety. When we listen to others in pain, their stress response quiets down and their body has a better chance to heal. The rest of the review is worth a read too. The book isn't yet available in the uk (though it's on the US site for Amazon), but sounds quite intriguing. Do you think it's a good thing to encourage people to "be good" or "loving" by pointing out it's better for them? One of the severely crippling misunderstandings of the Reformation assertion of "The Priesthood of all Believers" is to assume (or worse, insist) that each of us can function as our own priest - "I don't need a priest, thank you, I can do quite well on my own, me and Jesus." But that is certainly not what Martin Luther intended when he included the Priesthood of all Believers as a fundamental tenet for reforming the church. He meant that we are all priests, not for ourselves, but for one another: "I need you for my priest, and while we are at it, I'm available to you as your priest." The Priesthood of all Believers is not an arrogant individualism that, at lest in matters dealing with God, doesn't need anyone. It is a confession of mutuality, a willingness to guide one another in following in the way of Jesus, to assist and encourage, to speak and act in Jesus' name, and to be guided by another to speak and act in Jesus' name. In the community of the baptised, there is no-one, absolutely no-one, who is not involved in this priestly leading and being lead, for even "a little child shall lead them" (Isaiah 11:6). I've ...come to the conclussion I am 'postmodern' which is a bit scary since I thought that was a bad thing to be. I am more and more coming to the conclusion that these days seeking people who turn up at Alpha come from a world which accepts nothing on the basis of 'authority' so it is no longer enough to say 'The Bible says.' They're also suspicious of dogmatic answers. We have to teach them to trust the Bible as a process. Occasionally I go to help lead a small group where they save up their difficult questions for me and I go and think aloud. They like it that I sometimes admit I don't understand or point out that often other christians would see this different from me. It's a form of teaching that seems to work. Dialogue as opposed to sermons which require people to be passive and give no opportunity for inter action. Whatever you make of the 'postmodern' label, there is a really important attitude being described here that's pretty fundamental. Humility. And I don't think humility has to make you postmodern - and it certainly doesn't have to weaken your biblical foundations. ...but I also recognize that I’m not an infallible, completely independent, thinker and interpreter of Scripture. I know that I come with my own baggage, selected commentaries, upbringing, assumptions and failings. I therefore have to be humble enough to recognise I might be wrong. I don't have to loosen my commitment to God’s self-revelation and truth, nor to the 'authority of scripture' to recognise that I need to bow before God in humility rather than with an arrogant certainty that I've got it taped. 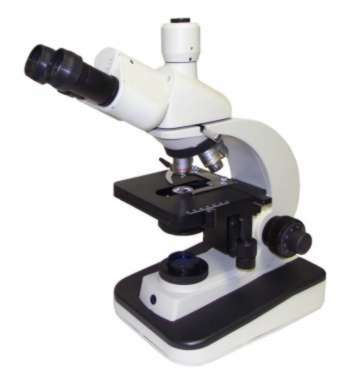 It has to do with getting to know a trustworthy friend in God-revealed-in-Jesus, rather than with placing a sample under a microsope to be at the mercy of my "superior" mind. 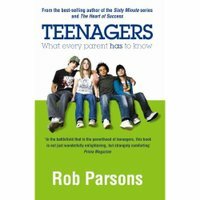 Care for the Family - a Christian organisation headed up by Rob Parsons, prolific author and speaker on issues to do with family and working life - are advertising their latest book on parenting, Teenagers: What Every Parent Has to Know. I've just ordered my copy from Amazon, since Parsons' previous books have certainly been worth getting. During the past year I’ve been working on a new book called Teenagers! What Every Parent Has to Know. It’s just been published. This is a hard time in the history of our society to be a teenager – a fact that is born out by the statistics on drugs, sexually transmitted diseases, self-harm, eating disorders and even suicide. And if it’s harder for teenagers, it means it’s harder for their parents as well. Going by his previous books, it's likely to be practical and straightforward without trying to give "pat" and "easy" answers - Rob Parsons is realistic about family life, but convinced that it needn't be hopeless! He's aiming the book at the general (rather than "niche Christian" market) and I'm delighted to say that it shows up first on Amazon if you search for "teenagers"... Let me know what you think. 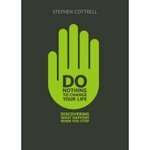 The Bishop of Reading got some good publicity at the end of last week (BBC website and Telegraph, amongst others) for his new (rather well titled) book, Do Nothing to Change Your Life (subtitled: "What happens when you stop"). "By learning to sit still, slow down, by discerning when to shut up and when to speak out, you learn to travel through life differently. "There is new delight and purpose in the mundane and the ordinary things of life. Making tea becomes a treat, travelling to work an adventure. "For Christians this fresh perspective will improve our relationship with God." It was said of John Wimber, who founded the Vineyard Church movement in the States and therefore led a major movement of churches and leaders, used to take entire days simply to sit and think. Just think. 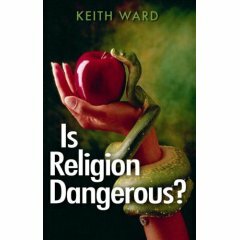 Living as a Christian in the world today is like living on a knife edge. ...there is no 'click here' answer to the many dilemmas that we all face at work each day. 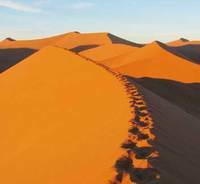 A few years ago I went to the Namibian desert with a small group of Christian friends for a short break. ... We prayed and worshipped together, and at sunset one evening, surrounded by silence and the unforgettable darkness of Africa, we had a communion service under the stars on the sand. Next morning, we got up before sunrise to walk along one of the largest and most majestic sand dunes in the world. What we saw was remarkable. As the sun rose, on one side there was pure light; on the other, a still and eerie darkness. As I was walking along the top of the dune I had the sense that this was a picture of the world in which Christians live. We were called to walk on the narrow ledge of the dune, not in darkness and not always in the sunlit beauty of the light side, but all the time leaning towards the light and away from the shadow. The life of the Christian at work is a leaning towards goodness. Day by day we can sesne God's presence as we avoid the darkness. We try to walk along this narrow divide, straining towards the light. 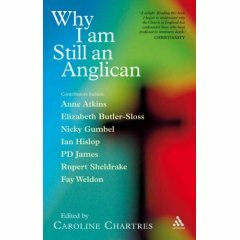 A quick one for now - I've just received a book I heard about some time ago, but hadn't got round to laying my hands on: Why I Am Still an Anglican edited by Caroline Chartres (a journalist and also, as it happens, wife of the Bishop of London). It's a great concept - ask a broad cross-section of Anglicans to explain why they, personally, still persevere with this argument-ridden, sometimes odd, always falible bit of God's people. Where else would you find Ian Hislop (satirist and writer - very, very funny), John Stott (one of the foremost evangelical writters of the last 100 years), Fay Weldon (outspoken novelist) and Frank Field (MP) all in the same book alongside Nicky Gumbel (of HTB and Alpha), Andreas Whittam Smith (founding editor of the Independent) and Anne Atkins (regular Radio 4 'Though for the Day' contributor and writer)?